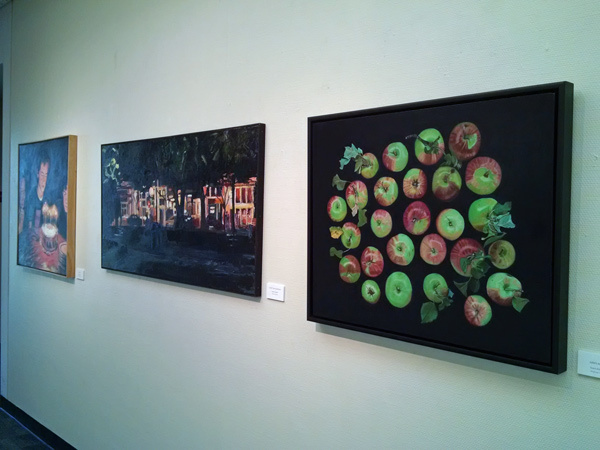 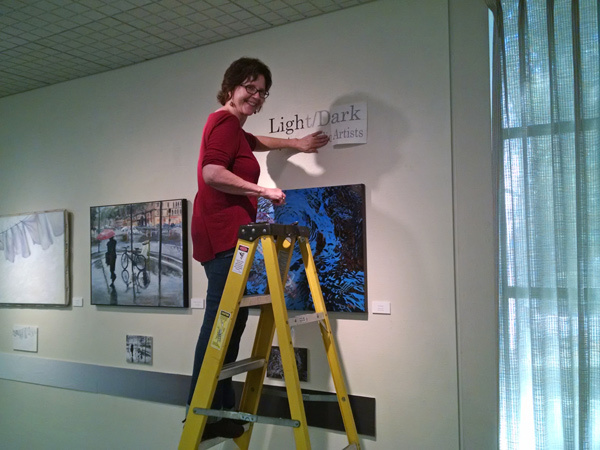 A new show is now hung at the Marilyn Citron O'Rourke Art Gallery in the Benicia Library - Light to Dark. 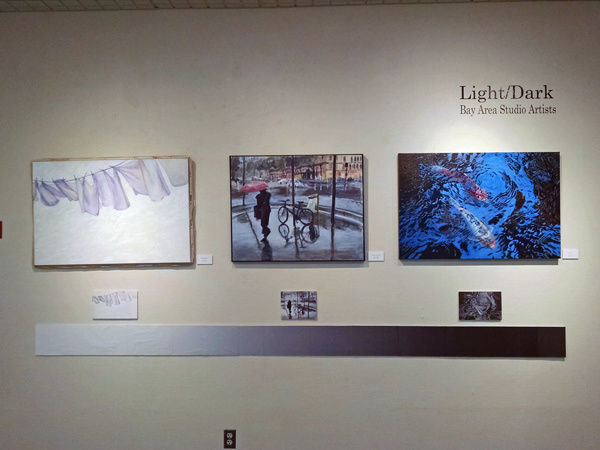 Above is the main wall where three paintings display a high-key "light" painting (by Marcy Wheeler), a balanced medium painting (by Joanne Taeuffer) and a low-key dark painting (by Sharon Tama). 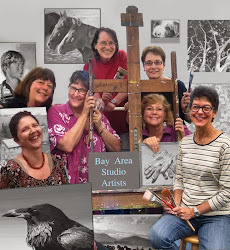 The group of women who I paint with BASA - Bay Area Studio Artists, just hung the show on Friday and will be open to the public through November 19, 2015. 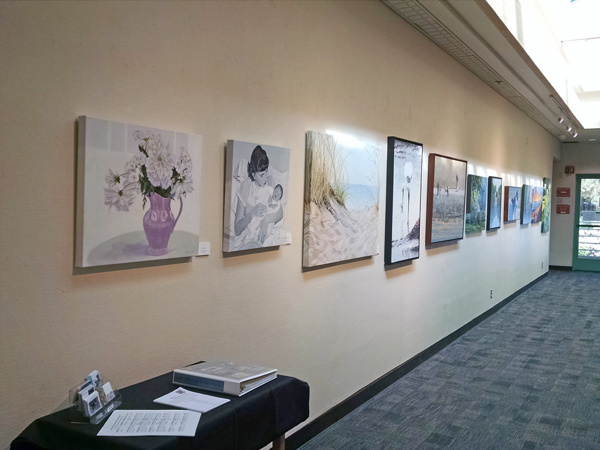 Hope you can drop by and enjoy the art! 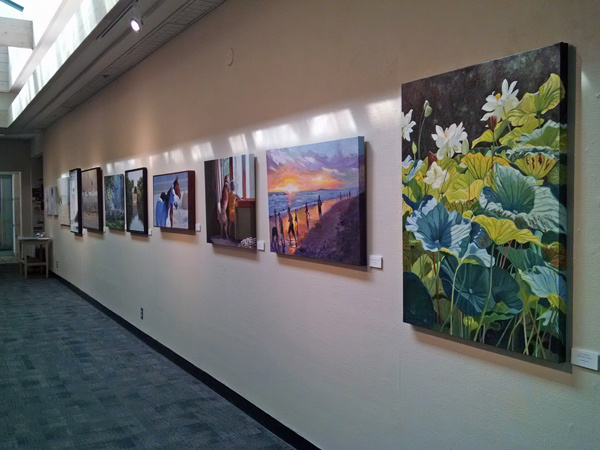 Pathway to the Beach is Through the Forest!